The lorica segmentata is believed to have been widely used at the height of the Roman Empire, although it never completely replaced the mail and scale armor. 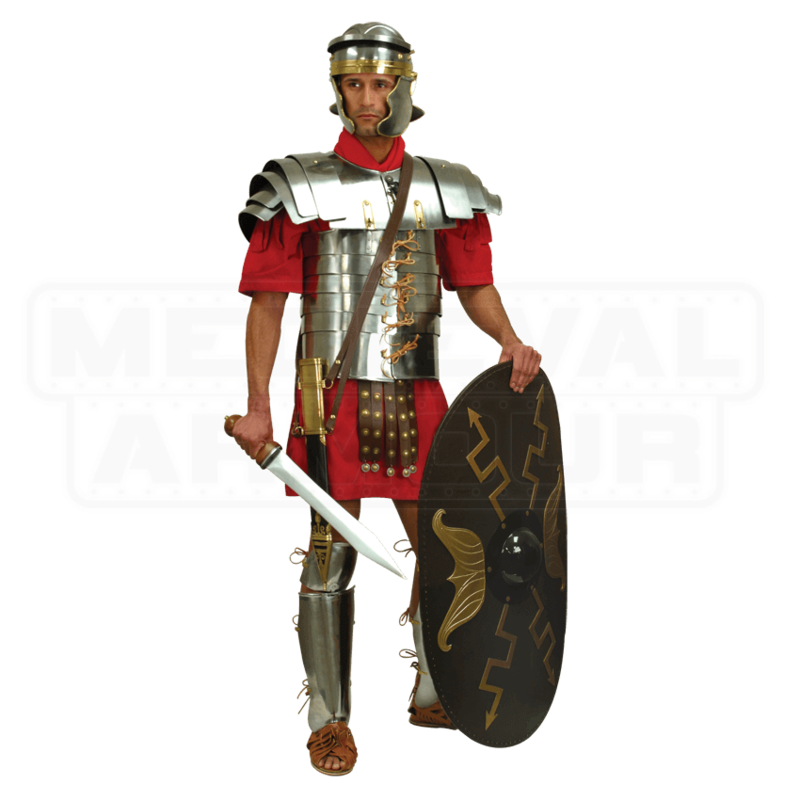 Transform yourself into a Roman soldier with our Steel Lorica Segmentata. 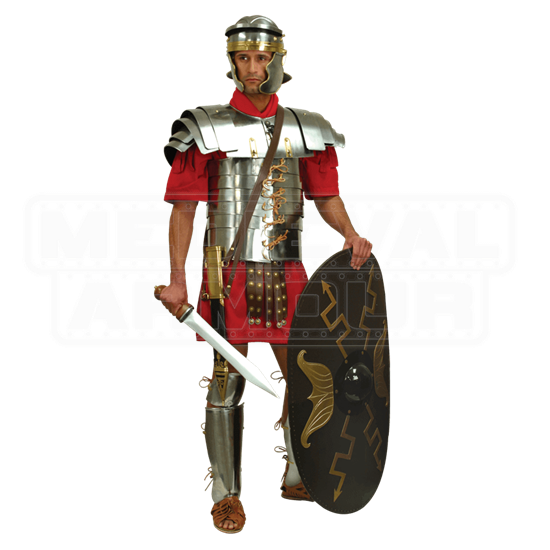 To the modern mind, the lorica segmentata typifies the Roman soldier, and is believed to have been introduced during the first century A.D. Our version is superb, crafted of 18 gauge steel. It is closely copied from a type of lorica found in Newstead, Scotland, that dates from the second century A.D. This armour is quite flexible and allows plenty of freedom of movement. Our steel Lorica Segmentata comes with instructions on how to put it on for our first time Roman reenactors.